The sixth film in the franchise, Harry Potter and the Half-Blood Prince takes on a foe even more intimidating than He Who Must Not Be Named: high expectations. Not only do the books boast a remarkably spirited fan base, but books six and seven are among the most beloved. Added to this, the movies have been pretty impressive up to this point, so fans everywhere look to the sixth film with the highest of hopes. As a fan myself, I’m thrilled to be a bearer of good news: while not the best in the series, Harry Potter and the Half-Blood Prince casts a superb spell, indeed. 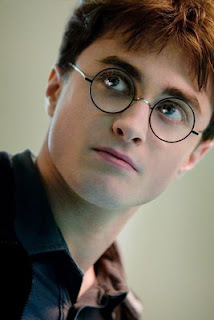 Harry Potter (Daniel Radcliffe) returns to Hogwarts School for his sixth year, and romance is in the air. Despite raging hormones, Harry can’t shake his eerie premonition that Draco Malfoy (Tom Felton) has joined Lord Voldemort’s followers and been given a secret mission. As Harry tries to unravel the mystery of Draco’s errand, Professor Dumbledore (Michael Gambon) teaches Harry more about the Dark Lord’s troubled past. The key to defeating Voldemort lies in a memory which Harry must extract from Professor Horus Slughorn (Jim Broadbent), a new teacher at Hogwarts. Meanwhile, Harry excels in Potions class thanks to his most helpful used textbook, which once belonged to a mysterious student known only as the Half-Blood Prince. Performances all around are stellar in this film, and Rupert Grint and Emma Watson (Ron and Hermione) give their finest performances to date. In the past, Harry Potter actors have sometimes gone overboard with certain character traits, but not here. Almost every exchange rings true, and the film spends more time on genuine emotion than it does on fantasy. Jim Broadbent brings the perfect, complex balance to Professor Slughorn, though perhaps the most pleasant acting surprise of all is how Tom Felton rises to the challenge as Draco Malfoy. His performances have been fairly monotone ever since the first film, but this time around, he fills Malfoy with conflict and vulnerability. For this story to work, Malfoy needed to be a deeper character, and Felton delivered. The film depends heavily upon its last act, which unfortunately falls short of its full potential. It’s rare for film adaptations to cut action scenes that exist in the books, and I’m not sure why they chose to omit so much of the battle that takes place at the end of Half-Blood Prince. The action as it unfolds in the text would have heightened the drama and raised the stakes. Even the Half-Blood Prince himself, the film’s title character, should have been given more significance and explanation in the closing act. As is, the ending still packs a punch, but nowhere near the powerhouse that it should have been. Those who haven’t read the book may love it, but I think most fans will scratch their heads a bit, wondering why the finale was underplayed. While the ending falls short, it certainly does not fall flat. Harry Potter and the Half-Blood Prince is a movie that fans can be proud of, boasting a strong visual style outmatched only by its character development. The friendship between Harry and Dumbledore is genuinely touching, right from the film’s unexpected, yet pitch-perfect opening shot. I feel confident that director David Yates will wrap up the franchise well, and with the final film being split and released as two movies, I trust that the book will be adequately represented. For now, head on over to Hogwarts to behold that rarest of magical creatures: a big summer movie that actually delivers. MPAA Rating: Rated PG for scary images, some violence, language and mild sensuality. This film has some scares, but nothing nightmarish. Whereas the last film was given a PG-13 (understandably), PG is the right rating here. I think kids will enjoy it, and the other elements listed above (violence, language, mild sensuality) are pretty tame.